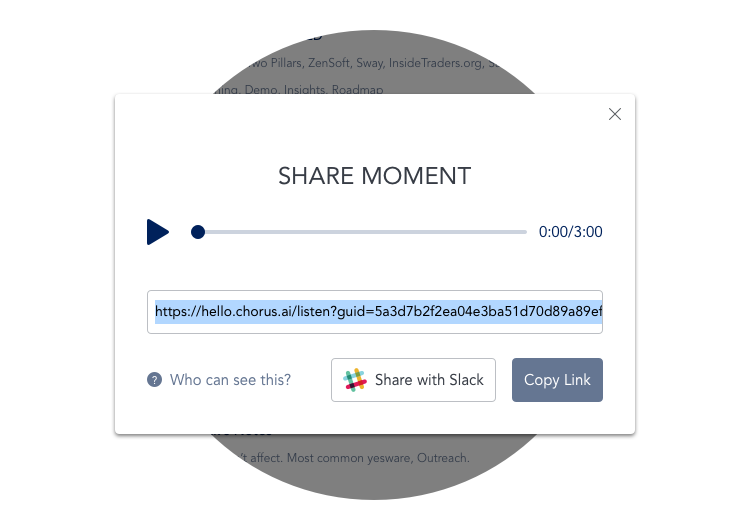 Connect your Chorus account with Slack to make sharing insights faster and easier. Chorus automatically records, transcribes and analyzes meetings in realtime. 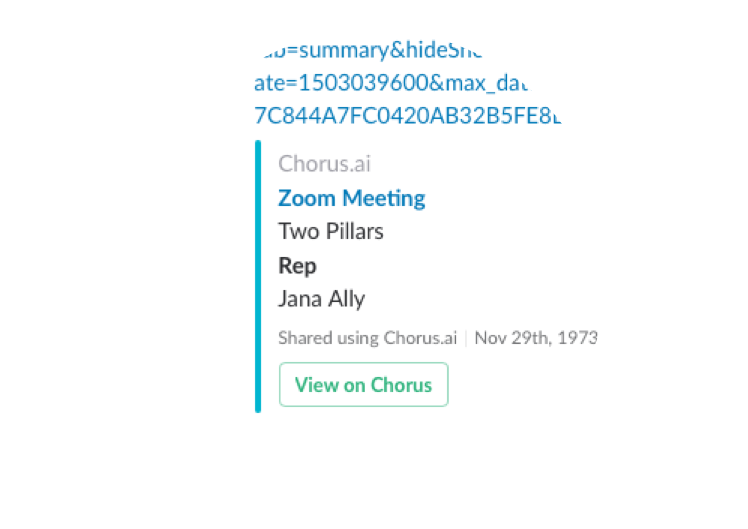 Links from Chorus are automatically expanded to show details about your meeting. 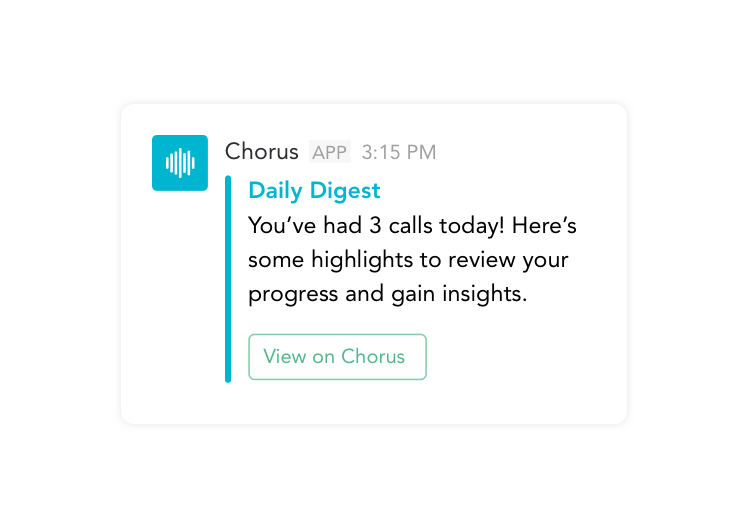 With the Chorus Slack app, users can also setup daily digests and alerts. Click SHARE on any conversation to share the moments with coworkers or colleagues on other teams. Setup daily digests to keep up to date on the whole team. 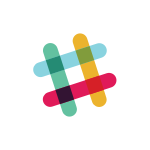 Track specific keywords and be alerted on slack the minute they happen in any meeting. Links you share on slack will display account details and key moments so you can continue working without being interrupted.